The sales of drones continued to soar this holiday season, and experts estimate that drone sales will double again in 2017. Drones are not just fun—they’re also incredibly useful. As the technology improves and becomes more affordable, the barriers to entry are now lower than ever. That’s a great news for anyone who’s interested in this exciting hobby. Still, entering the world of drones for the first time can be a daunting task. Television and internet news outlets constantly mention changes in legislation and drone-related accidents, and tech websites publish a review after review across several different classes of drones. The good news is that things aren’t as complicated as they may seem from a distance. We guarantee you that by the time you finish reading this guide, you’ll be more than ready to pick up your first drone and start flying. What to Use Drones For? Just because drones are all the rage today doesn’t mean that you have to jump on the bandwagon as well. Why spend your hard-earned money on something that would just collect dust? That being said, the chances that drones can’t peak your interest in one way or another are slim. Most drones are used for recreational purposes. There’s something about the combination of high-end technology with materials and prices that are commonly associated with the toy industry that makes drones appealing to almost everyone. Best of all, the skills you learn while piloting the smallest and most affordable drones out there will serve you just as well if you ever decide to transition to larger machines. Seeing the world from the perspective of your drone can not only be fascinating but also beautiful. As such, aerial photography and videography are not just ways how to make recreational flying more interesting, but also a way how to create stunning works of art, either for art’s sake or for commercial purposes. Combine recreation with high-definition cameras and head-mounted displays and you have a perfect recipe for a brand-new sport: drone racing. Perhaps you’ve heard about the teenager who won $250,000 in the biggest drone race yet, the World Drone Prix in Dubai. Similar races are being held every day all around the world, albeit without such mind-blowing rewards. You can race with just about any drone you want, but if you want to take drone racing seriously, you will, sooner or later, have to purchase a special racing drone. Because of how easy it’s for drones to reach difficult-to-access locations, many professionals rely on them for geographic mapping, structural safety inspections, wildlife monitoring, disaster management, surveying, and other examples of usage across a variety of industries. These days, it’s entirely possible to build an entire career around drones, and the possibilities will only expand as time moves on. It won’t take a long time before you encounter some terms related to drones. While you can google everything as you embark on your drone adventures, we think that you will greatly benefit from familiarizing yourself with the most used terminology right away. This way, you won’t feel lost when going through product descriptions on Amazon or reading the latest drone reviews. Ready-to-Fly (RTF): Drones that fall in this category come with everything necessary to start flying. Almost-Ready-to-Fly (ARF): When you purchase an ARF drone, you should expect that it will require assembly to make it ready to fly. If you aren’t comfortable with soldering, you should probably avoid this category. Bind-N-Fly (BNF): Perfect for those who already own a few drones and have a sizable collection of transmitters just laying around. BNF drones ship with everything you need except for a transmitter. Headless Mode: In headless mode, no matter how the drone is oriented, pressing “forward” on your controller will always make the drone move in the same direction. Camera Gimbal: A good gimbal is the key to smooth and stable video footage. This specialized camera mount relies on servos to compensate for the movement of the drone. Gyroscope: Just like the gyroscope in your smartphone, a gyro measures the rate of rotation around a particular axis, thus helping to keep the drone stable during flight. On-Screen Display (OSD): The main job of on-screen displays is to overlay flight information onto real-time video footage. Line of Sight (LOS): If you have your drone within your line of sight, it means that you can clearly see it from your operating position, without anything blocking your view. First-Person View (FPV): Professional drone racers often use special head-mounted displays to see the world from the perspective of the drone. This perspective is referred to as the first-person view. Head-Mounted Display (HMD): These futuristic goggles contain small, high-resolution displays and antennas, enabling the wearer to see the world from the drone’s perspective. Unmanned Aerial Vehicle (UAV): This fancy name for drones refers to any aircraft that can be piloted without a human pilot aboard. Lithium Polymer (LiPo): Favored by most drone manufacturers, LiPo batteries provide a good balance between weight and capacity. Yaw, Pitch, and Roll: As neatly illustrated here, yaw is the rotation around the vertical axis, pitch is the rotation around the side-to-side axis, and roll is the rotation around the front-to-back axis. There’s no denying that drones have exploded in popularity much faster than anyone expected. Their massive growth caught many policymakers unprepared, which resulted in countless confusing rules and regulations. To this day, many countries around the world still don’t have proper laws in place, and those who do change them so frequently that it’s hard to keep up to speed. Don’t take our brief foray into the complicated world of drone legislature as the definitive source of information. Our intention is to merely show some of the things that you’ll need to keep in mind while flying your drone. To save space, we had to limit our selection to 5 major English-speaking countries, but you can find more information on other websites. Drone laws in the USA are regulated by the Federal Aviation Administration (FAA) and the Federal Aviation Regulations (FAR). FAA has recently clarified what is the acceptable commercial usage of drones, stating that commercial drones must weigh less than 55 pounds, not exceed the speed of 100 miles per hour and the altitude of 400 feet, and only be operated during daytime while staying in the operator’s line of sight. In Canada, the regional governing body over drone laws is known as Transport Canada. For the purposes of the average drone pilot, everything can be boiled down to a short list of do’s and don’ts. This list mentions that all model aircraft must weigh less than 77 pounds (35 kg). It also prohibits flying at night and during bad weather conditions, requires pilots to always maintain a clear line of sight, respect the privacy of others, and prohibits flying higher than 300 feet and closer than 500 feet from people, animals, buildings, structures, or vehicles, among other things. In the UK, drone laws are regulated by the Civil Aviation Authority (CAA). This statutory corporation, which oversees and regulates all aspects of civil aviation in the United Kingdom, has created a very convenient guide to drone regulations, the Drone Code. According to the official website, pilots must always keep their drones in sight, stay below 400 feet, follow manufacturer’s instructions, stay 150 feet away from people and properties and 500 feet away from crowded areas, and stay well away from airfields and aircraft. Regulated by the Civil Aviation Safety Authority (CASA), drone pilots in Australia are required to maintain line of sight, fly only in visual meteorological conditions, only fly up to a maximum altitude of approximately 400 feet, keep the drone at least 100 feet from anyone who’s not associated with its operation, avoid flying over populated areas, and, among other things, stay far away from airfields. The Civil Aviation Authority of New Zealand (CAA) regulates drone laws in New Zealand. Those who aren’t holders of New Zealand’s Unmanned Aircraft Operator Certificate must never operate an aircraft that weighs most than 55 pounds, must fly only in daylight, give way to all crewed aircraft, maintain line of sight, not fly higher than 400 feet, have knowledge of airspace restrictions, not fly closer than 4 km to airfields, and have consent from anyone they want to fly above. With the boring, but important, stuff out the way, it’s time to dive deep into all the things that go into picking the right drone. This is what you’ll need to keep in mind while shopping on Amazon or on any other store of your choice. As we’ve explained earlier, drones are used for multiple purposes. Because no drone is perfect at everything at the same time, you will have to decide how you’ll going to use your drone. Those who plan on shooting 4K video footage and uploading it on YouTube or using it for commercial purposes should purchase a drone with an adequate camera and a high-end gimbal. But those who just want to fly inside can save themselves a lot of money and buy a cheap toy drone without a camera. In every drone category, there are relatively affordable models, and then there’s the cream-of-the-crop, which usually costs significantly more compared to the average drone. If you’re just starting out, your best bet is to buy something affordable that you won’t be afraid to fly and potentially break. Such drones are available for the price of a nice dinner, and they are a great way how to learn the ropes before transitioning to something better. Palm-sized nano drones belong to one of the most popular categories of drones. It’s no consequence that drones in this category are among the most affordable. If they weren’t, they would probably never be as popular as they are because they can be a nightmare to pilot. Most beginners who want to avoid hours and hours of frustrations are much better off with a larger, stabilized drone that can hover on its own. Advanced users and pros shouldn’t really struggle too much no matter which category they go with. Some of the best drones currently available can stay in the air for almost a half an hour. With cheaper drones, you will be happy to get past 10 minutes of flight time. Rather than paying more for a better model, you should look for one that allows you to replace the battery inside with a fresh one. A pack of rechargeable spare batteries for small drones doesn’t cost much, but it can greatly extend your fun. The one often advertised specification that you don’t need to worry about is range. Unless you’re standing in a large, open space, you’ll almost never run out of range without also losing your line of sight with the drone, which is illegal in most countries. Purchasing popular drones from renowned manufacturers means that you’ll have access to the largest selection of accessories. Such accessories include propeller guards and extra propellers, spare batteries, carrying cases, FPV systems, cameras, gimbals, landing pads, and many other cool things, including spare parts. It probably won’t come as any surprise to you that the more money you spend on a drone, the more features you can expect it to offer. High-end drones can intelligently avoid obstacles, automatically take off and land, follow pre-set waypoints, stay within a designated area, return to home if the control signal is disconnected, or follow you around and act as your personal camera. Furthermore, smarter drones can better compensate for operator’s errors. Many drones today are used by industry professionals who don’t fly in their spare time, so any drone that can make piloting easier is a welcome sight. Drone manufacturers often use smartphone apps as a way how to comfortably control their products. While certainly convenient, even the best smartphone control app is useless if it doesn’t run on your mobile operating system. Always check whether the manufacturer supports your smartphone or tablet before you spend your money on a drone. Many newcomers feel overwhelmed and even discouraged by the sheer number of drones that are currently available. The situation is made even worse by the fact that manufacturers like to release new models on a regular basis, which leads to even more confusion. That’s why we bring you our selection of top drones for 2017. We’ve made sure to include something for everyone, and even if you don’t find what you’re looking for, our list can still serve as a starting point on your quest for the best drone. The recently released DJI Mavic Pro is a love letter to all drone enthusiasts who yearn for the same performance that’s associated with drones such as the Phantom, but in a smaller, more portable package. The drone allows you to capture razor-sharp 4K video footage at 30 frames per second or take 12 MP photos in the Adobe DNG RAW file format. Mavic’s controller has been redesigned to deliver unprecedented range for uncompromising Full HD video streaming. The drone can stay in the air for up to 27 minutes, and it will intelligently avoid obstacles, return to home, or hover in the air. Starting at almost $1,000, DJI Mavic Pro is by no means cheap, but it delivers in every possible way. Another recently released drone from DJI, and one you’ll likely hear a lot about in the near future, is called Phantom 4 Pro. This state-of-the-art piece of technology costs even more than Mavic Pro—$1,499 to be exact—but it’s one of the best drones available to professional videographers at the moment. It features a support for 4K video shot at 60 frames per second, longer flight time, extended range, and plenty of smart features. The drone is controlled using a special remote controller with a built-in screen. The screen is 5.5” large, has the Full HD resolution, and boasts an unprecedented brightness of 1000 cd/m2. All of this results in a premium flying experience that meets even the strictest demands of professional usage. The Chinese company Yuneec is currently considered to be DJI’s top competitor. Their products aren’t as polished as DJI’s drones are, but their value is fantastic. The Yuneec Q500+ Typhoon Quadcopter is a complete Ready-To-Fly system with 16 MP Full HD camera that can record video footage at 60 frames per second. The drone can intelligently follow you around as you pilot it, stay in the air for up to 25 minutes, and provide you with a real-time feed from your Q500+’s camera. While professionals will most likely still go with DJI, amateur videographers should seriously consider drones from this Chinese underdog. ZEROTECH Dobby Pocket Selfie Drone is easily the best selfie drone currently available. It fits in the palm of your hand, neatly folds for transportation, supports facial recognition, and records stabilized Full HD video footage. Still, the best thing about the drone is the user experience. ZEROTECH has managed to make the concept of personal camera appealing and affordable. Photos and videos can be synchronized with a single click, and you can just as easily share them online with your friends and family members. If you want to start with something very small, affordable, yet relatively easy-to-pilot, Hubsan X4 is the drone to get. 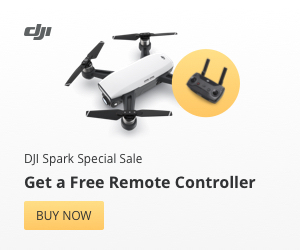 This simple drone features a precision 6-axis gyro that helps it stay in the air, and its durable frame and widely available spare parts will keep you operational for weeks and months on end. Unlike other tiny drones on the market, Hubsan X4 pilots as easily as many large drones while retaining the agility of nano drones. The undisputed king of the budget category: Syma X5C Explorers. It’s not hard to see what makes this medium-sized drone so appealing and popular. For around $50, it provides a taste of everything drones offer, and it does it in a way that won’t make you immediately earn for something better. No, the camera doesn’t record ultra-sharp HD footage, nor does that drone stay in the air for a long time, but none of it matters because the final product is much better than the sum of its individual components. Syma X5C Explorers is easy to fly, fun to do tricks with, and there are so many accessories and spare parts available that you’ll never run out of things that you can do with it. Racing drones are usually very expensive and suitable only for highly experienced pilots, but not all of them. Eachine Racer 250 is the exception. This ARF drone has a built-in 5.8 GHz transmitter and a high-quality wide-angle camera suitable for FPV racing. The manufacturer could keep the cost of the product low because it’s up to you to assemble it from the parts you receive. Luckily, the assembly isn’t all that complicated, so even people who don’t have much experience should be able to put everything together simply by following online tutorials and manufacturer’s instructions. There’s a lot to consider when buying your first, second, or even tenth drone. We sincerely hope our guide helps you select the right drone for you or someone you know. If you don’t like any drone that’s earned our nomination, don’t feel discourages—there’s plenty more drones to choose from, and manufacturers are racing with one and another to take the existing technology to the next level. Remember that drones are here to stay, and the sooner you learn how to fly one, the more enjoyment you’ll be able to get in the long run.